The news of the day in many ways is that the dear old Guardian has come out in support of the Liberal Democrats at the general election. The power struggle that has led to this has been visible on the paper's comment pages for the past couple of weeks. Alex Foster at Liberal Democrat Voice has the link and copious quotations. Parties don't win election because newspapers them: newspapers endorse parties because they are going to win. At the very least, the Guardian's decision suggests it recognises where the action is on the liberal-left these days. Chrisjw133's Blog discusses that decision with this insight in mind. Today Nick Clegg has been to De Montfort University in Leicester and the World Snooker Championships at the Crucible Theatre in Sheffield. A Lanson Boy and his camera were with him. Peter Black reports that the meerkats at London Zoo have been reminding people to get their postal votes in on time. The Press Association has a list by constituency of the estimated declaration times for general election night. Basically, if you going to the count at Cornwall North it is bad news. Who among us has not blogged from Market Harborough library? I know I have. Now Wartime Housewife, in the middle of moving house, has done so too. A colleague at work made an intelligent remark the other day. 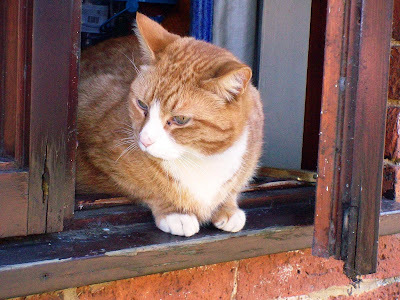 He said something like: "David Cameron's problem is that Nick Clegg really is what Cameron has been pretending to be." I was impressed - even when he admitted that that he was reading it off Facebook. Because whoever made that comment is right. When he became Conservative leader David Cameron saw at once what he had to be like to revive his party: modern, socially liberal, egalitarian, environmentally concerned. He grasped it intellectually, but nothing in his background or his career before 2005 gives you any sense that that the real David Cameron is like that. By contrast, "modern, socially liberal, egalitarian, environmentally concerned" is a very good description of Nick Clegg. And this need to be something he is not has been at the root of David Cameron’s troubles in this campaign. While Nick Clegg has simply been himself, Cameron has had to work hard to keep his inner Flashman in check. The poor man must be exhausted. Longstanding and improbably attentive readers of this column will remember Sir Percy Harris. He was briefly MP for Harborough, an MP in the East End of London for much longer and was recently revealed to be the great-grandfather of Matthew Taylor. Harris held Harborough for the Liberals at a difficult by-election in 1916. It was difficult because, though there was a wartime truce with the Conservatives, he faced a popular Independent, Thomas Gibson Bowles, who was being bankrolled by the press baron Lord Northcliffe. 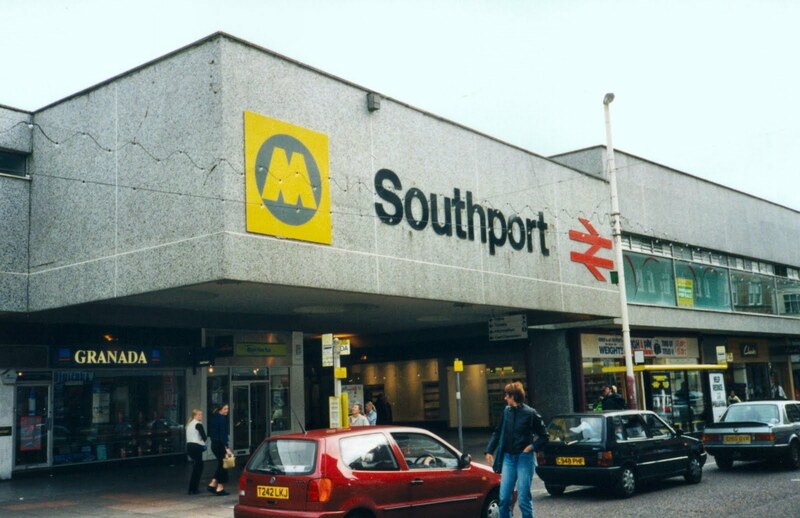 The hoardings were covered with Daily Mail posters, “Buy Daily Mail and vote for Bowles,” and a special edition of the Daily Mirror, then in Northcliffe’s hands, was published and distributed free to the electors. To outsiders it did not appear that I had a ghost of a chance, and the seat looked good as lost ... before ever the fight started. But I was young and energetic and kept to the front the query: “Were the electors to select their won M.P. or have one dictated to them by the Yellow Press?” and a very effective question it was. And it may prove as effective in 2010 as it did in 1916. 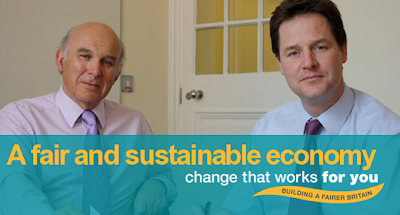 Earlier I linked to the BBC report of this morning's visit from the Liberal Democrat leader. Hundreds of students, press and party supporters turned out to man of the moment, Nick Clegg, as his campaign bus rolled into De Montfort University this morning. The large crowd listened to the Liberal Democrat leader pledge to bring fairness back to politics by putting bigger taxes on London bankers. He also said he would clean up the political system by slashing the size of the House of Lords. He said: “There are huge loopholes in the tax system that you can only benefit from if you are wealthy enough to own a football team. Earlier I introduced you to LOLCleggz and Monday is a Bank Holiday. 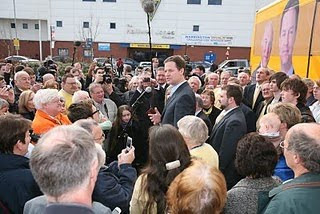 Addressing students in Leicester, Mr Clegg did his best to ignore Labour supporters in the crowd as he repeated his promises to clean up politics and bring fairness to tax. He told the BBC his party was "going for gold in getting the most number of people voting for the Liberal Democrats". He said everyone wanted "change", the question was, what kind of change: "I think this election campaign is now boiling down to a simple choice - a two-horse race between the Conservative Party and the Liberal Democrats." I like his "two-horse race" line. We should consider using it more often. Thanks to the latest Popbitch email for sending us to LOLCleggz. In their first ever interviews Charles Hawtrey's inner-circle share with us compelling anecdotes and memories of the Carry On star, presenting a unique insight into one of Britain's most memorable comedy actors. Charles Hawtrey is one the most recognisable characters from the Carry On film series, but it is his hidden talents and tragic decline that this programme reveals. Another score draw for me. Nothing that has happened in the latter two debates has done much to change the picture established in the first. Nick is in the big league and at the top of if for much of the time. The most interesting thing I read on Twitter during the debate was that when Cameron repeatedly attacked Nick Clegg over immigration both their ratings went down. And the Liberal Democrats don't have to convince everybody, just the more liberal 40 per cent of voters. I think Nick put his case well enough to do that. Now we wait for the polls and the worms to tell us who won and how we should vote. Later. What strikes me most about David Cameron is the complete disconnect between the generous sentiments he expresses and the hard policies he espouses. Just as his campaign posters having nothing at all to do with the cerebral Big Society ideas of the manifesto. Is that a sign of confusion in the Tory camp - Steve Hilton vs Andy Coulson? Or is the more liberal stuff just calculation? And Gordon Brown looked tired and hardly bothered to defend 13 years of Labour government. Are there no achievements he is proud of? It was all about making us turn to him because we fear the future. Kerry McCarthy: Where's the gratitude? Earlier today Kerry McCarthy - Labour MP for Bristol East, lawyer and allegedly her party's expert on social media - tweeted her sampling of the postal votes she had seen opened. Courtesy of another Lib Dem blogger, I have a screenshot of her tweet,which began "First PVs opened in east Bristol, our sample:" and ended "#gameON!" But I am not posting it here, because I would be committing a criminal offence. Always anxious to help, even when the person is in another party, I tweeted McCarthy a link to a post made on Ministry of Truth when Jonathan Isaby and the Daily Telegraph appeared to have done something similar during the Ealing Southall by-election in July 2007. That post pointed out that breaking Schedule 6, Section 66A of the 2000 amendments to the Representation of the People Act 1983 by disclosing how people have voted before the polls close is punishable by anything up to six months in prison. Not surprisingly, McCarthy swiftly deleted the tweet, adding the disingenuous comment: "On reflection, I've deleted. It's not counting, just random exercise." But did I get a tweet back from McCarthy thanking me? No I did not. Whatever happened to common courtesy? It seems Labour's Respect agenda is just for the little people and not their MPs. Heartbreaking though it is to contemplate the offence caused to the papacy by a silly joke, perhaps a thought could be spared for those of us who are deeply offended by the papacy's reactionary attitude to contraception, women, gay people, and covering up child abuse. Some of us are Christians, too. Feeling bereft because this evening's TV debate will be the last one? 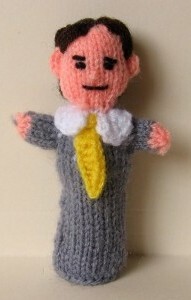 Help is at hand in the shape of a range of political finger puppets from Rubbish Magazine. Our picture, naturally, shows Nick Clegg, but other puppets are available. "Last week I met a black burglar, who told me that economic migrants got a free car from the NHS." "That was a disaster. Should never have put me with that woman - whose idea was that? ... She was just a sort of bigoted woman." "You have aligned yourself with a bunch of nutters, anti-Semites, people who deny climate change exists, homophobes." Mark Pack offers seven thoughts on the story of the day: "6. The real story of the caught comments shouldn't be the use of 'bigot' but rather the intolerance Brown seems to have for meeting people who don't agree with him - even if, as in this case, they end up supporters of his. That fits in with many other accounts of his behaviour and matters because disliking people who don't agree with you is far more dangerous - thanks to the group think mentality it encourages - than someone using too blunt language." While Joe's Extra Bold Blog discusses bigotgate in diagrammatic form. Another important general election story is identified by Autonomous Mind: "the implosion of UKIP and its leader, Lord Pearson of Rannoch." Simon Goldie continues his exploration of the idea that a British tea party - or peppermint tea party, because of its Liberal leanings - is emerging. Is there any point in knocking up postal voters? Birkdale Focus argues that there is, and reports encouraging findings from carrying out the exercise in Southport today. Finally, a rural note. Unmitigated England recommends Bulls Eggs. A Labour general election candidate was arrested after crashing her car into a roundabout, says her agent. Kathryn Smith, standing in Gravesham, is understood to have been breathalysed at the scene. Her agent said she had asked to provide a blood sample. She was taken to hospital after the incident at University Way, Dartford, on Monday but was not seriously hurt. Kent police said a 49-year-old woman had been arrested and bailed to 10 July, pending further inquiries. She is understood to have been cut from the car by firefighters after crashing into a roundabout at about 10pm. Makes Bruce Laughton look a bit tame, doesn't it? The Lib Dems are on 33 per cent, the Tories are on 21 per cent and Labour lag behind on 18 per cent. Only ten per cent of readers intend to vote for a minority party while 17 per cent remain undecided. When undecided voters are removed the Lib Dems are on 40 per cent, Conservatives are on 26 per cent and Labour are on 22 per cent. Of course, we always like opinion polls that show our party in the lead, but this one is particularly encouraging for the Liberal Democrats. Because this poll was taken among "fully employed 18 to 44-year-olds, who read Metro at least three times a week and live or work in a city". This suggests we are winning popularity among just the sort of people who should be supporting us: young, educated, urban. Those with an historical turn of mind could see it as the re-emergence of Orpington Man. If we are to continue to make progress as a party, we are going to have to strengthen this appeal to the liberally minded. That is why I was pleased Nick Clegg (against some people's expectations) did not make great use of our promise of an in-or-out referendum on the European Union - and not only because I have always been against the idea. We should be seeking to win and consolidate the support of people who do approve of our EU membership, not seeking to placate those who will always be against the idea. And I say that as someone who is not the most enthusiastic Europeans in Lib Dem ranks. Conservative candidate "spoken to by police"
An election candidate hoping to win the Gedling seat in Nottinghamshire has been spoken to by police about his behaviour to shopkeepers in Mapperley. Conservative candidate Bruce Laughton was allegedly confrontational with traders who exhibited posters opposing car parking charges. Mr Laughton said he apologised if he had upset anyone but was "just campaigning on their behalf". Police said they spoke to Mr Laughton but he had not committed any offence. This incident received considerable publicity on the East Midlands regional television news yesterday evening. If Nick Clegg looks frustrated and petulant, take a drink. ...if he makes a sensible suggestion which is roundly sneered at, take a drink. ...if he suddenly lapses into a heavy Dutch accent and starts mumbling random Russian words ("isvestya, vodka, pravda, sputnik") take half the bottle. Andrew Reeves' Running Blog dissects a bad day for the Conservatives in Scotland: "Chris Walker, the former Conservative candidate for Berwickshire, Roxburgh and Selkirk comes out to back Liberal Democrats Michael Moore to win and then only hours later North Ayshire & Arran Conservative candidate Philip Lardner is suspended over his homophobic views." How can Nick Clegg win the third debate too? Jeremy Hargreaves has some ideas. The campaign trail brings Peter Thornton, Lib Dem candidate for Penrith and the Border, to Pooley Bridge farmers market. Tomorrow night there is a hustings in Ashfield. Labour will be represented, not by Gloria De Piero, but by a candidate from a neighbouring constituency. Lobbydog explains this extraordinary situation. 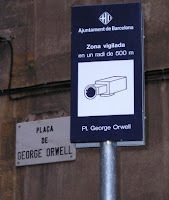 The ironic photo above is borrowed from Subrosa. BLDGBLOG peers into the fearful depths of the bellmouth drain at Ladybower reservoir in Derbyshire. The blog says this would mean Lib Dem gains in Edinburgh South and Aberdeen South. Clegg's speech, emphasising "fairness" and accountability, won two standing ovations as he sought to position the Lib Dems as the party NHS workers could trust. He offered a radical new blueprint of the NHS, with employees forming John Lewis-style companies to take over services, and said trusts would be governed by Swedish-style health boards made up of local people rather than central government appointees. "Local health boards [will be] answerable to the people who use the local NHS: two-thirds of the members directly elected by local people and the final third indirectly elected representatives from local councils," he added. I am very pleased to see this emphasis in our health policy. You can read the whole speech on PoliticsHome. I did see it last night, but thanks to Love and Garbage. If the number of posters is anything to go by, a different political landscape belies the serene seafront. 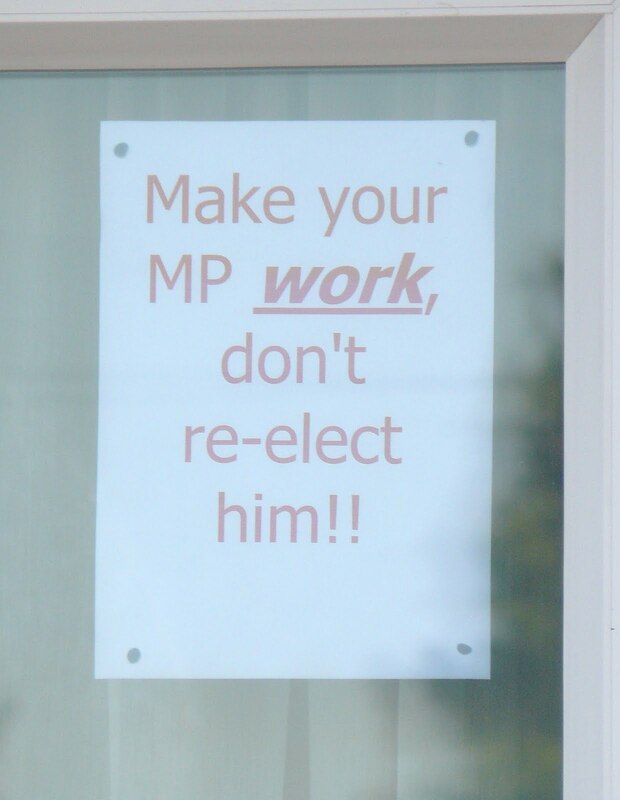 Although Nigel Waterson won his fourth term in 2005 with a majority of 1,124 against Lib Dem Stephen Lloyd, it is the words ‘Stephen Lloyd to Win’ on bright orange placards that dominate the streets. They undoubtedly outnumber Conservative posters, especially in the middle class areas of Hampden Park and Old Town. The notable exception is the resolutely Conservative area of Meads, at the foot of the newly founded South Downs National Park. You may remember that it transpired last month that Harborough District Council had been breaking its own rules by allowing its waste collectors Focsa to operate without a signed contract and without a bank bond indemnifying the council against any loss should it go out of business. A scrutiny panel meeting to discuss Harborough District Council's controversial decision to enter into a £25.9million waste contract without it being properly signed or backed by a bank bond is being delayed due to the General Election. A briefing note was sent to district councillors and officers last Wednesday saying the scrutiny meeting scheduled for April 29 would now be postponed due to the 'purdah' period. Purdah, more commonly-known as the pre-election period, is a term used in UK politics to describe the time between an announced election and the final election result. During the period, civil servants have to abide by a strict code of practice so they are not seen to be acting in any way party-politically. I am happy to be corrected, but as I read this briefing note from the House of Commons the period of purdah during a general election it applies only to national government. Local authorities do recognise a period of purdah, but only during their own local elections. 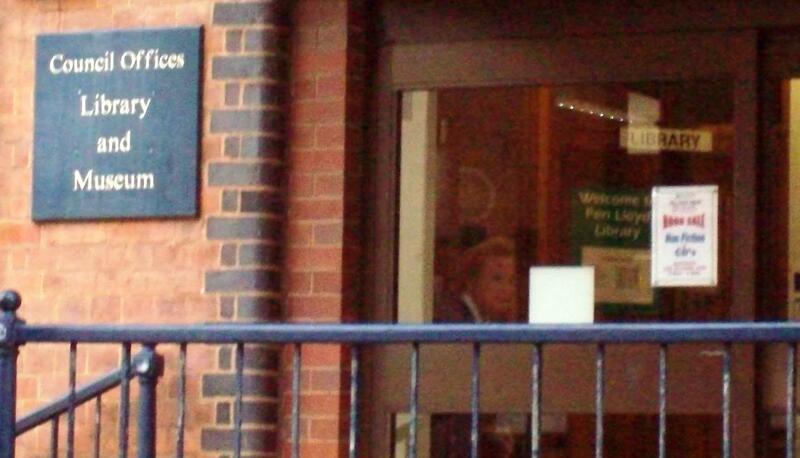 There are no local elections this year in Harborough. So is the Conservative-run Harborough District Council finding tenuous grounds for postponing examination of its conduct for fear it will embarrass the party during the general election? I think we should be told. You will also note that a meeting at County Hall to discuss Focsa's planning application for its depot in Welham Lane, Great Bowden - yes, they have been operating without planning permission too - was disrupted when the fire alarm was set off. Remarkably convenient. That's all I will say. The transformation that Nick Clegg has effected in British politics as a result of the television debates is gradually becoming clear. Our poll today suggests that support for the Liberal Democrats in the capital has surged from 16 to 28 per cent, winning them three London seats from Labour including Islington, Hampstead and Ealing Central. This is an extraordinary trend, one that calls into doubt many old certainties about local political allegiances. Mr Clegg is apparently managing to persuade a remarkable cross-section of the electorate to consider voting differently, or voting at all. Mark Reckons that David Cameron's words on coalitions during this election campaign may prove indigestible in the event of a hung parliament. While Always Win When You're Singing asks what would you call someone who followed an attractive woman as she purchased underwear. Pervert? No, it's a Daily Mail reporter. Our latest Idiot the Day is Keith Warnell, Tory deputy mayor of Bishop's Stortford. LibCync explains why he richly deserves his award. Paul Edie's Blog gives awards too. "Top Prize for the most surreal press event of the election goes to the Elvis impersonator who dropped into the Labour campaign this afternoon." Jayne McCoy has temporarily unsuspended her Diary of a Councillor to bring us the reaction to Nick Clegg and the leaders' debates on the Sutton doorstep. Go Litel Blog, Go ... finds Northamptonshire diminished by the departure to Sussex of Monty Panesar, the Sikh of tweak. I understood BritPop: good tunes, guitars and harmonies. And in the great battle of the period there was only one winner: Blur. And comparing the subsequent careers of Damon Alburn and of the Gallagher brothers does nothing to make me think I was not right. 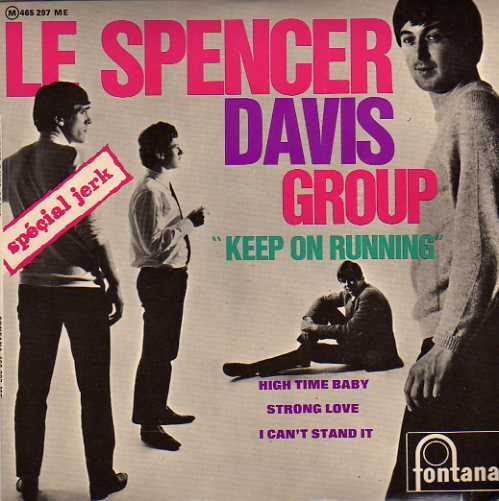 But this song, from Modern Life is Rubbish, shows Blur being influenced more by the Kinks than the Small Faces. I read it as a little hymn to contentment. I was too busy delivering for Zuffar Haq yesterday to get out of Market Harborough, so this week I shall be sharing a few curiosities from my files. 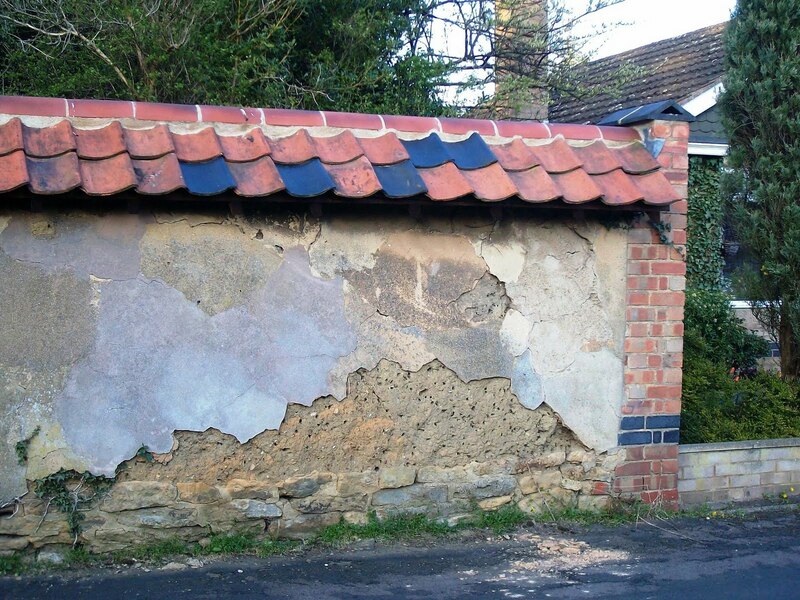 This mud wall stands in my own village of Little Bowden, near the Rectory. While you will find dry stone walls in villages on the Northamptonshire Uplands, like Lamport and Draughton, in more low-lying parts of the county mud was often used as a building material. I don't have a photograph to prove it, but I think the heavy tiles on top - it is important to keep the rain off mud walls for obvious reasons - are a recent addition. Until a year or two ago the wall was topped with corrugated iron, which suggests that it was originally thatched. You can read more about mud structures in the Harborough area in an article on the local historical society's website. 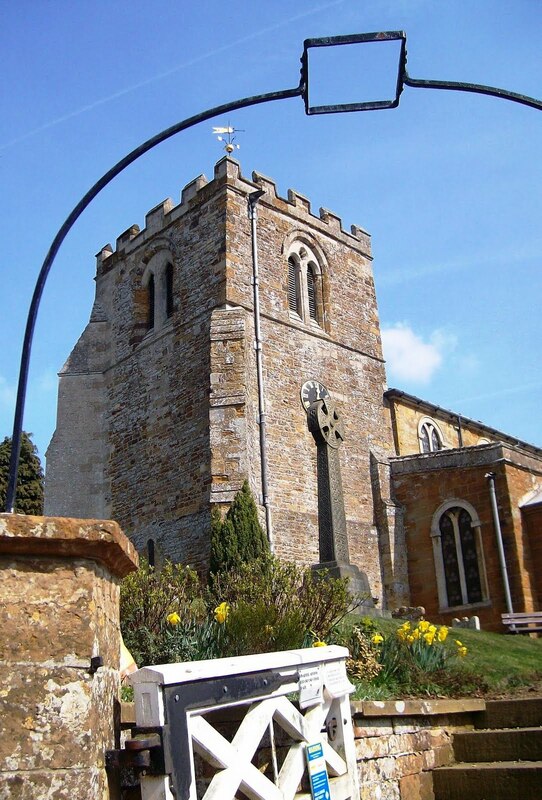 And, yes, I know Little Bowden is now in Leicestershire, but it was in Northamptonshire until late in the 19th century. The county boundary used to be the Welland, but was moved because Market Harborough had started to spread to the south of the river. You can still see what used to the Northamptonshire police station and magistrates court for that part of town in the Northampton Road. 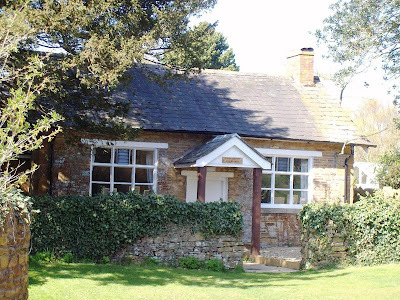 This means, incidentally, that my cottage, which is now firmly in Leicestershire, was in Northamptonshire when it was built. "Did you take any photographs of the Battlebus yesterday? Some people at church had heard about it and wondered what kind of bus it was." Roman Catholic bus enthusiasts are an important interest group here in Harborough, so I shall be sending some photos over this afternoon. 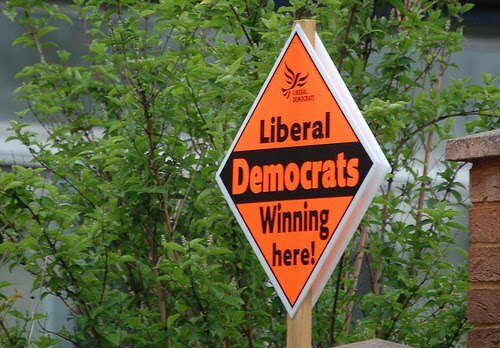 "Lib Dems scenting power on Winchester City Council"
The Hampshire Chronicle reminds us that there are also local elections on 6 May and talks up Liberal Democrat chances in Winchester. I don't like to be rude, but just how ignorant do you have to be to write a sentence like this? Identifying Lib Dem pockets of voters and organising activists to start knocking on doors on polling day to get them out would be another strategy Cowley Street is or should be thinking about. What does he imagine we normally do during election campaigns and on polling day? I shall study Mr Hundal's writings more closely in future. I may have been missing a comic treat. In vintage form, Quaequam Blog! tells Polly Toynbee what she can do with her clothes peg. Why did Nick Clegg do less well in the YouGuv poll conducted for Sky News after the second leaders' debate? Easy, says Craig Murray. It was taken before Nick had made his closing statement. PoliticalHackUK considers the Conservatives' smearing of their general election opponents. Labour candidate Gloria de Piero is refusing to appear at any hustings in the Ashfield constituency she is trying to win, including one arranged for the regional slot of the Daily Politics. Alex Foster has the story on Liberal Democrat Voice. 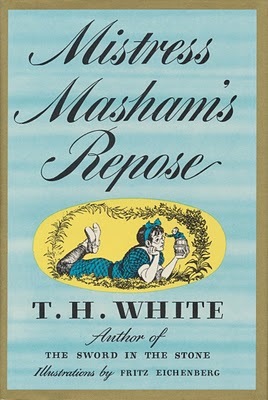 Confessions of a Laundry Faerie discuss Mistress Masham's Repose, a neglected masterpiece by T.H. White: "It's the story of a girl named Maria who finds a colony of Lilliputians in exile on the property of her family estate, and how she and they manage to get along. 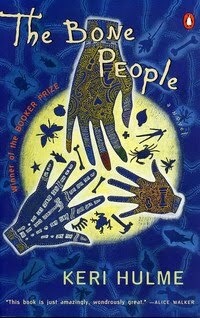 Not only is it a good story, but it brings up some worthwhile philosophical questions." And English Buildings visits Blandford Forum, discovering two clever Bastards. For more about the Liberal Democrat campaign for Harborough, visit Zuffar Haq's website. I have now lost two stone since buying a digital camera last May. Studying this blog I find had lost a stone by 5 September and a stone and a half by 13 February. Apologies for using this blog as a virtual WeightWatchers, but I think there is a lot less chance of a relapse if I record my progress here. On Liberal Democrat Voice, Mark Pack examines the fine detail of opinion polls taken following yesterday's second leaders' debate: "Clegg’s performance continues to attract people to the party which Cameron’s performance did no more than tread water for the party overall." 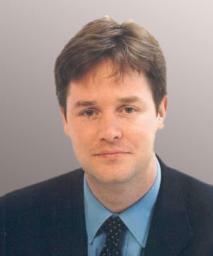 Clegg grasps the change mantle, the Obama message, in a restive and anti-political country. In that sense, I think he won this. And I would not be surprised to see his party emerge - historically - as the leader in this race. Don't Get Fooled Again finds the Conservatives using legal threats to censor the BBC's Ashcroft exposé, then making false and misleading claims about their record on press freedom. The Tory blogosphere is crowded out with crude market-libertarians. I’ve rarely met one of these in real life, and when I have (with notable exceptions) they’re a bunch of isolated fruitcakes with a faith-based one-size-fits-all solution to every problem. But as an online force, it’s one with enough gravitational pull to affect the Tory party. And because this echo-chamber responded so positively, did the Tories actually think that the wider public would buy their shrill obsessions about big government? A few days ago Hand + Star surveyed the three runners in the contest for Oxford's Professor of Poetry, complete with a video of the magisterial Geoffrey Hill, poet laureate of Mercia. 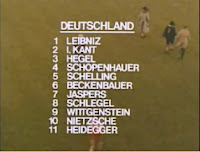 And Something for the Weekend has the video of Monty Python's soccer match between teams of German and Greek philosophers. There is no solution to the current problem of care and maintentance unless it is recognised that an ancient and beautiful Church fulfils its primary function merely by existing. It is, in itself, an act of worship. Such a church, whatever its surroundings, is a perpetual reminder of spiritual values. 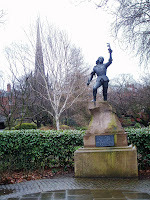 In Shakespeare's phrase it is "a sermon in stone" and its message is delivered, not just for an hour on Sunday, but for every hour of every day in the year - not merely for those who enter, but to all who pass by. This passage is quoted on the title page of Sir Gyles Isham's guide book to All Hallows, Lamport. As I cannot find it anywhere on the net, I assume that it is taken from Isham's longer work about the church, All Saints' (All Hallows) Lamport, published in 1950. 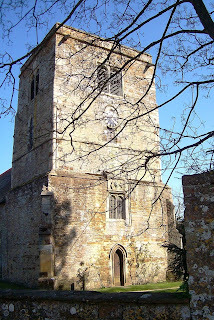 I have chosen to illustrate it with a picture of St Mary the Virgin, Maidwell. This is because All Hallows, Lamport, after the changes they wrought upon it in the 18th century, is dedicated at least as much to the glory of the Isham family as to that of God. Dusty the gunrooms and the stable clocks stationary. Others into club-houses for the golf-bore and the top-hole. A few years ago I used to exchange occasional emails with the East Midlands' bright new Liberal Democrat MEP Nick Clegg. I know writing regularly for the Guardian website seems a good idea, but I would advise against it. You see, with your impeccably Liberal outlook and admirable candour, I can see you writing something that would look great when it was first published. The trouble is, when it is reprinted on the front page of the Daily Mail in eight years time during a general election campaign, in some eight years time, when you are in sight of leading the party to its best result since at least 1923, would look bad. PS You did get my memo about the peerage, didn't you? Of course, it wasn't like that - and not just because I have never smoked a pipe. And he did write for the Guardian between 2002 and 2005 - you can still find Nick Clegg's column for the the period on the paper's website. The fact that, after combing through these, the most embarrassing thing the Daily Mail could find was some remarkably sensible remarks about Anglo-German relations, suggest that Nick managed to combine his natural candour with prudence. In fact, it is quite possible that the hamfisted attempts to smear Nick Clegg by the Daily Mail and the other Tory papers will prove counterproductive. And doesn't Godwin's law apply to newspapers too? My column from today's Liberal Democrat News. Had spaced permitted, I should have made a couple more points. The first is that the centrality of televised debates to American Presidential debates is a more recent phenomenon than many imagine. The famous Kennedy/Nixon debate 1960 was the first, and the next one did not take place until 1976. My second point would have been that an emphasis on getting voters to register at all will in many ways represent a return to 19th century British politics. Then, when the franchise was still limited, more than half the battle was getting your supporters on to the electoral role and getting your opponent's struck off. I like cricket. I don’t like my beer too cold. I am thinking of buying a tweed jacket. In short, I am about as British as you can get. But even I am coming round to what has proved to be a very American style of general election. At first, with the emphasis on the leaders’ wives, it did not look promising. For a while the front page of the Conservative campaign website consisted of a large picture of Samantha Cameron and not much else. But things have got better. The first televised leaders’ debate, with Nick Clegg’s stellar performance, was a triumph for the Liberal Democrats, but it also made surprisingly good television. Despite their legendary reputation, the American Presidential debates are often remarkably dull. You probably know the story about the elder George Bush being caught sneaking a look at his watch during one of his encounters with Bill Clinton. Bush later said: “Was I glad when the damned thing was over? Yeah, and maybe that’s why I was looking at my watch — only 10 more minutes of this crap. Maybe if I’d have said that I’d have done better." But our first debate was not like that. It was more fluid and thus more interesting to watch. If the broadcasting authorities and the politicians had relaxed a little and allowed a little audience reaction, it would have been even better. There is another way in which our politics is becoming more American: we are going to have to work to get some people on to the electoral register at all. Someone claimed recently that there are 1.5m young people who have not registered to vote. 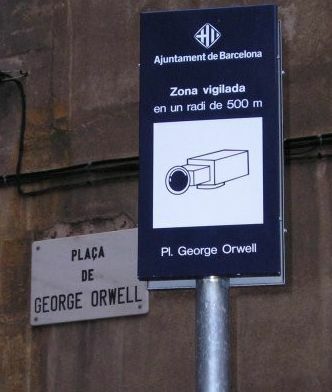 You can criticise their lack of interest, but it may also be down to the rise of the surveillance state and a sense that the authorities know far too much about you already. Now, if you will excuse me, I am going to have some hominy grits – whatever they are. I now learn that political reporters from the Tory-backing papers were called in one by one to discuss how Team Cameron would deal with "Cleggmania" and to be offered Tory HQ's favourite titbits about the Lib Dems - much of which appears in today's papers. Last night I was getting great reception on Sky News. This evening it was so poor that I had to turn the sound down and listen to the radio. 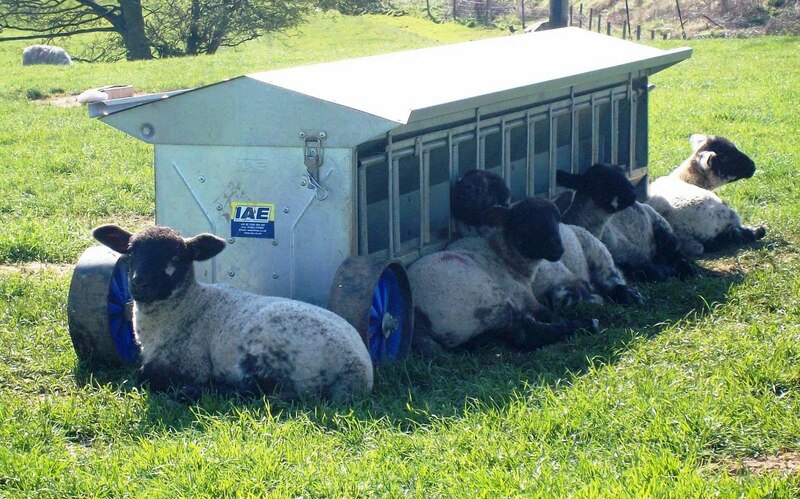 My impression from this rather odd way of experiencing it was that the second leaders' debate was a score draw. Brown and Cameron had clearly learned from last week, so Nick Clegg did not enjoy the clear victory of last week. But his performance was good and became increasingly assured as the evening went on. He was at his best when putting the Liberal case on issues like Europe and immigration, and countered the "we must have strong government" line very well. The good news is that most polls of viewers and voters and scoring tonight's debate as a second victory for Nick Clegg. Gordon Brown looked less tired than last week and managed to sound less robotic. David Cameron was less subdued, but I suspect there are large numbers of people out there who simply do not like him. I am one of them. Election 2010 has published the list of what it claims to be the top 200 "political influencers on Twitter". As regular readers will know, I am not one to show off. But for what its worth, I (@lordbonkers) am at no. 83. I shan't be blogging or tweeting during the leaders' debate tonight, though I shall be back online later. It’s funny how people always said Clegg was too much like Cameron, and now it might be the other way round. So blatant and poorly founded are the smears against Nick Clegg in this morning's Tory newspapers that there is every chance that they will rebound in our favour. These newspapers can be lumped together with "the old parties" to form a larger What We Are Fighting Against. Given the current anti-politics mood of the electorate, there is every chance that this approach will resound with them. In the mean time, if you want chapter and verse on the smears join the Facebook group Fight the Smears (UK). And if you want some fun generating smears of your own, use the Daily Mail-o-matic. Writing on Liberal Democrat Voice, Stephen Tall is proud to announce that the Lib Dems lead the digital way - on the Web, on Twitter and on Facebook. Liberal Burblings dispels "the myth of the first debate", pointing out that the Liberal Democrats were rising in the polls before Nick's triumph last Thursday evening. "If a Lib Dem majority or minority are totally out of the question, and a formal coalition still seems pretty weird, then what other options are there?" The Futility Monster tells you. Missives from Doktorb looks at the Daily Mail's rather lame attack on the Liberal Democrats today. "I will warn you, it's ... about Level 5 on the "Palin Scale." The significance of the Tories' "Let's Cut Benefits..." poster is examined by The Ex-Communicator: "It looks to me like a refocus on the Tory home ground, giving up the reach-out to new supporters, and no longer aiming to be a uniting party. I assume it is a reaction to the consolidation of the Lib Dems in the centre ground. It's a significant last minute change of direction. I find it a surprising tactical choice, like the similar late lurch of John McCain to the right." Andrew Hickey selects 30 tracks to further the education of a teenage correspondent who wants to learn more about sixties music. I checked it anxiously and he has included a Spencer Davis Group track for my benefit. A colleague at work made an intelligent remark today. He said something like: "David Cameron's problem is that Nick Clegg really is what the Tory leader has been pretending to be." I was impressed - even when he admitted that that he was reading it off Facebook. Because this seems exactly right to me. When he became Conservative leader David Cameron grasped intellectually what he had to be: modern, socially liberal, egalitarian, environmentally concerned. He grasped it intellectually, but nothing in his background or his political career before 2005 gives one any sense that this is what David Cameron is really like. As I remarked the other day, David Cameron is under strain because he is acting the whole time. By contrast, "modern, socially liberal, egalitarian, environmentally concerned" is a good description of what Nick Clegg is really like. I suspected when Nick Clegg became leader that many had voted for him or furthered his candidacy because they thought he was like David Cameron. He is far better than that. He not like Cameron: he is like what Cameron works hard to pretend to be. It is no wonder, as one commentator observed after last week's debate, that you could see Nick leaching the charisma out of Cameron as they stood beside each other. It’s a shame that Peter Soulsby will surely be too busy campaigning to read this blog, which suggests he should just put up his feet and concede defeat in Leicester South. Although he remains relatively untarnished from the expenses debacle, 35% of this seat are Students and Graduates (2001 Census data). Parmjit Singh Gill, the Lib Dem PPC must tap into these to ensure victory, and that I don’t end up eating some strange metaphorical hat. Tory incumbent MP Edward Garnier is just within reach of Lib Dem PPC Zuffar Haq. Around 25% of the population in this constituency are either full time students or graduates (2001 Census data). If turnout among the 18-25 year-olds rises significantly and the ‘Cleggmania’ holds around 28-30% then an upset is possible here. Harborough can be seen as a litmus test for the Lib Dem election campaign. If they manage to take this seat, then they will certainly be converting their national share into seats at a more efficient rate than in the past. Basically if they take this seat it’s likely they’ll have 100+ seats on May 7th. 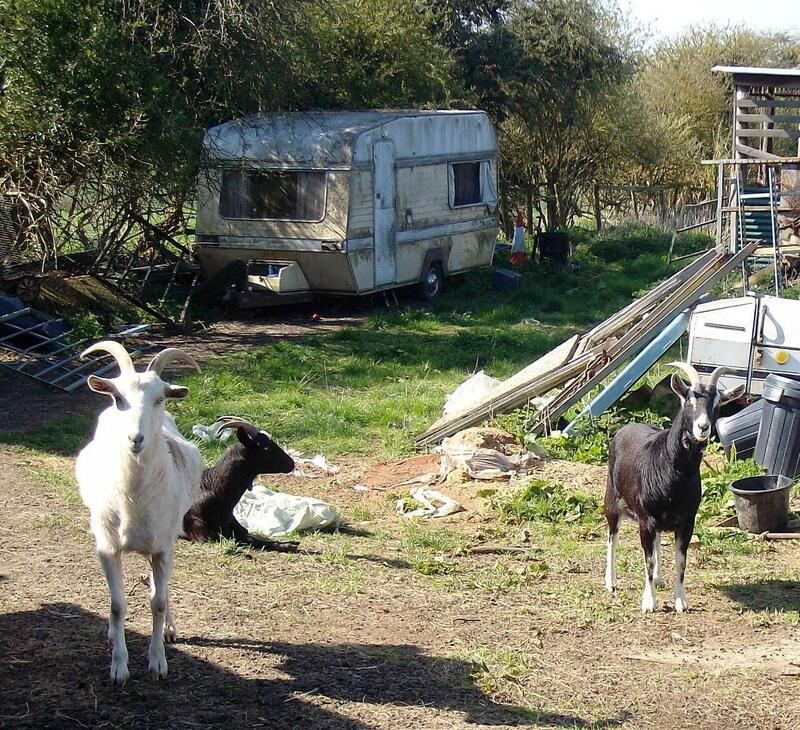 Cat and goats from Draughton; lambs from a field near Maidwell. Oodles to choose from at Zazzle. A new Liberal Democrat video. I have worked out that embedding these is a lot less work than writing your own posts. Duncan Borrowman catches Esther Rantzen taking down Liberal Democrat posters in Luton. What he fails to add was that she was later caught persuading old age pensioners to show their knickers and threatening people with suggestively shaped vegetables. We phoned the Gas Board. "It's nothing to do with us," they said. Despite having Rantzen to contend with, Qurban Hussain’s campaign in Luton South has been praised as “an impressive effort” by Michael Crick, says Strange Thoughts. Caron's Musings directs us to the Making Your Mind Up video from Total Politics. Rising from its sick bed for a moment, Love and Liberty identifies three politicians who simply aren't up to it. Beer Street will take you to CAMRA's dissection of the various manifestos as they affect pubs and beer drinkers. Oh, and Adnams are opening a distillery in Southwold. Finally, the Market Harborough counterfeit fish story has reached New Zealand at The Fundy Post and been commented on by a Booker Prize winner. I have reason to believe that Keri H is Keri Hulme, who won it with The Bone People in 1985. Even Guido has succumbed to its force. My impression is that the country is in a mood where it lacks respect for all politicians. Therefore the more that Gordon Brown and David Cameron tell voters that the only choice is between a Labour and a Conservative government, the more those voters are determined to prove them wrong. Chairman of the school governors Graham Wilson said the school had received about 30 letters and phone calls from concerned parents in the last few days. He said there were also suggestions a text message was being passed around, plus Facebook and Twitter messages threatening an anti-BNP protest outside the event. Mr Wilson said the school had raised its concerns with the event organisers, the Oadby Council of Churches, and they had decided to cacncel the event. It is hard to judge the rights and wrongs of this from outside, but it sounds like an overreaction. What is so sinister about "Facebook and Twitter messages"? If there is a demonstration, can't it be policed to ensure that the debate can go ahead? This is a bad day for democracy in Harborough. And as far as combating the BNP, it is probably a counterproductive one too. There are those on the left who, wary of the working class, believe that the BNP will do well if their views on race and immigration are given a hearing. But the lesson of Nick Griffin's Question Time appearance was that his views on every other subject were so ridiculous that the more public exposure he and his followers get the better. And never say what you will do. Today's Leicester Mercury reports that Parmjit Singh Gill is now the bookies' favourite to win Leicester South, the seat he won at a by-election in 2004 but lost at the following year's general election. “The entire tone of the election campaign has turned based on 90 minutes of television. It is incredible and it has taken everyone by surprise. “Labour and Tory incumbents who felt they were safe will now be looking over their shoulder at Liberal Democrats." We should be wary of the odds in individual constituencies - it takes only one large bet to change the odds decisively - but this sort of coverage in regional papers across the country will help to maintain Liberal Democrat momentum. "I am told that the Liberal candidate is conducting a campaign based entirely on the email." This morning the Liberal Democrats have set out their plans to reform the banking industry. Full details on the Liberal Democrats website. “At the heart of our plans for economic change is a simple insight: we need to devolve and disperse economic power, particularly in the banking sector. “Most people, except perhaps Gordon Brown, now recognise that too much centralisation in politics has led to wasteful bureaucratic public services and a command-and-control state that leeches power away from people. “I believe the same analysis can be made of our economy." Not all is well with the Labour Party in Stoke-on-Trent. The row over the selection of media don and Mandelson protege Tristram Hunt for Stoke-on-Trent Central is well documented, with the secretary of the constituency party now standing as an Independent against him. Hunt, incidentally, is on Twitter as @hunt4stoke. I asked there the other evening whether this meant he was having trouble finding the constituency again. More serious is the situation in Stoke-on-Trent South, where the sitting MP is using the familiar Labour trick of talking up the BNP. "I believe that councillors Terry Follows and Dr Zulfigar Ali [his Indpendent and Liberal Democrat opponents] are good men who work hard, but a vote for them is effectively a vote for the BNP. "Independents and Liberal Democrats cannot win in Stoke-on-Trent, but they can take enough votes from Labour's traditional support to let the racist BNP sneak through." 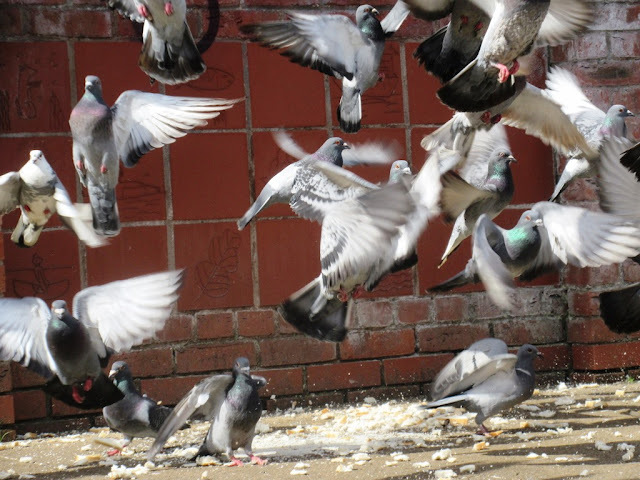 "The only way to stop the BNP is to vote Labour." I first became aware of Labour using this tactic in a Tower Hamlets council by-election then in the 1990s. The effect it had there was to give voters disaffected from the main parties the impression that the most effective way of getting back at them would be to vote BNP. And the BNP duly won the by-election. Given the widespread anti politics mood at present, it is extremely dangerous for a sitting MP to tell his constituents that the best way to get rid of him is to vote for the BNP. And, given the arrogance and poor judgment that Flello displays in his letter, you can hardly blame them from wanting to get rid of him. So not a jolly good Flello then. If the BNP does well in Stoke, he will have to bear a large part of the blame. Liberal Bureaucracy advises the Liberal Democrats not to get overexcited and abandon their target seat strategy. While Liberal Vision, in the person of Angela Harbutt, has a scheme for raising fund for the next tranche of Lib Dem hopes. "Could what we are seeing be the British equivalent of the US 'Tea party'?" asks Simon Goldie. "Dan Hannan assumed the movement would be aligned to the Conservatives but perhaps the UK version resembles the original Boston tea party and has its root in Whig liberalism?" Mark Reckons mounts a defence of Libertarian Party leader Chris Mounsey, who abandoned his sweary Devil's Kitchen blog after a short TV interview with Andrew Neill. As it was probably my least favourite blog, I was not sorry. It never seemed to me that Mounsey swore because he felt things so strongly: rather, he swore in an attempt to make his Clarkson-lite views sound interesting. And if you want to lead a party, you have to keep a civil tongue in your head. So there. Erasing David, a new film, explores the reach of the surevillance state in Britain. Spy Blog will tell you all about it. 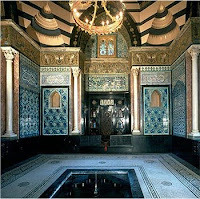 Diamond Geezer takes us to Leighton House, just off Kensington High Street. Frederic, Lord Leighton, an immensely successful Victorian artist "used his wealth to commission a grand villa in a quiet Kensington avenue, fitting out the interior with sumptuous detail and rich decoration." 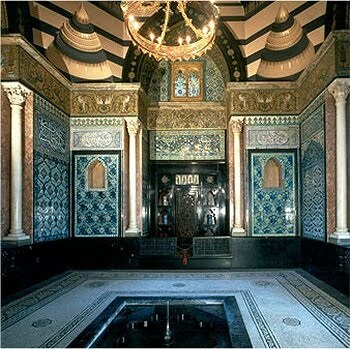 I visited Leighton House when I lived in London in the 1980s, when it was a little shabby but fascinating. It has recently enjoyed a major refurbishment and is probably much smarter now. Download your own colour poster here. A mile or two from Maidwell is Draughton, reached by an unfenced road that goes up quite a steep hill. When you get there you realise you are higher than the surrounding countryside because there are dry stone walls in the village. Draughton consists of little more than a church and a few houses. So it is a surprise to find this sweet little clubroom next to the church. The Shropshire Star carries the news that Bill Yates, who was the Conservative MP for The Wrekin between 1955 and 1966, has died in Australia. Yates was a prominent critic of Sir Anthony Eden during the Suez Crisis. Interestingly, after losing his seat at Westminster, Yates emigrated to Australia and became a Liberal Member of the House of Representatives for the division of Holt in Victoria between 1975 and 1980. 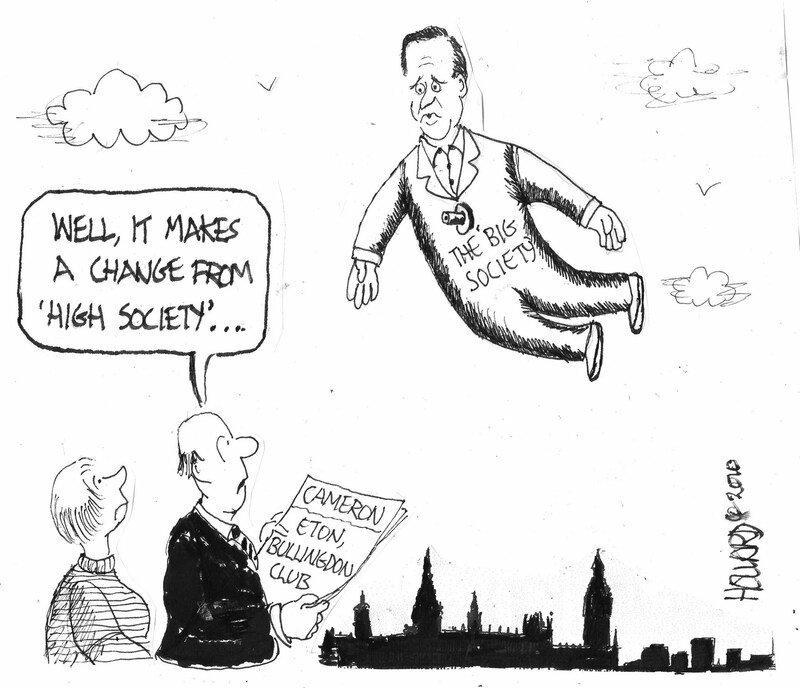 Howard's cartoon from last Friday's Liberal Democrat News. Mark Pack reports the success of The Facebook group "We got Rage Against the Machine to #1, we can get the Lib Dems into office!" It is now bigger than the Conservative and Labour Facebook pages combined and, remarkably, bigger than the Liberal Democrats' paid-up membership. Following Nick's triumph in first leaders' election, the Conservatives are threatening greater scrutiny of Liberal Democrat policies. (There are even unconfirmed reports that David Cameron may read our manifesto before the second debate.) Bring it on! says Liberal Endevour. Giles Wilkes (aka The Freethinking Economist) has a piece on Comment is Free dissecting the anger of the Conservative Party as the voters refuse to share its sense of entitlement and opt for the Liberal Democrats instead. Jonathan Fryer detects the rebirth of Orpington Man. At the end of a remarkable week, Skipper asks if the Liberal Democrats can maintain their momentum. Meanwhile, away from the fray, English Buildings visits Shobdon in Herefordshire and finds the remains of a remarkable church. I never got into Heroes, but I did like the BBC trailers for the first season and their use of this song. The best account of Skeeter Davis's career is I can find is an article from No Depression magazine that is reproduced on a Linda Ronstadt website. It says that Davis was born Mary Frances Penickin in (like all good Country artists) a two-room cabin in Kentucky. There is also an article about her on BookSteve's Library. This afternoon I went to Maidwell, a village on the road between Marekt Harborough and Northampton, and nearby Draughton. These are three of my discoveries there. 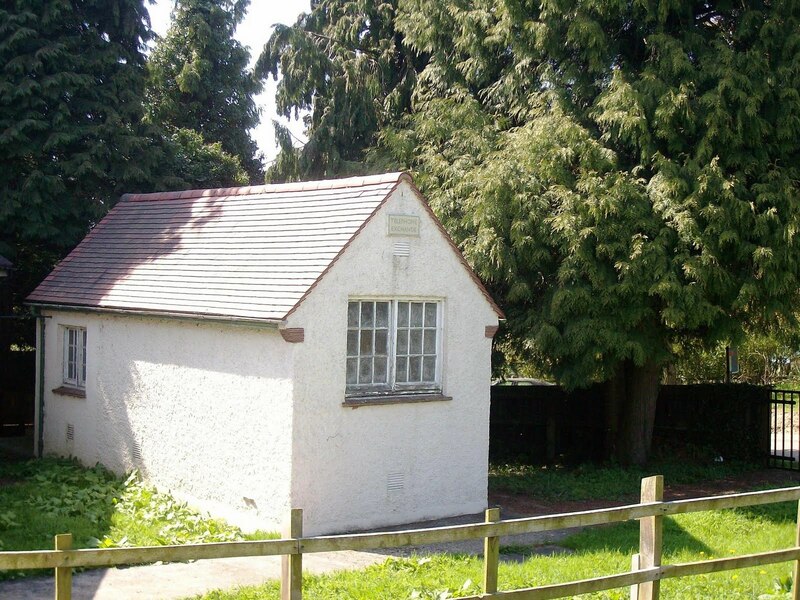 This is the (presumably) former telephone exchange in Maidwell. There is a later building next to it that may have been an exchange too and is also disused, but as with all official buildings in rural areas, you will find a sign threatening you with all sorts of penalties if you trespass. I was rather taken with this old exchange as it resembles a little abandoned chapel. I have seen it from the bus many times finally got to photograph it today. If you leave the main road, which is only a turnpike from the 1720s, after all, you will find there is more to the village than first appears. Field Marshal Lord Grenfell P.C., G.C.B., G.C.M.G. You can read about Field Marshal Grenfell on a family history site. 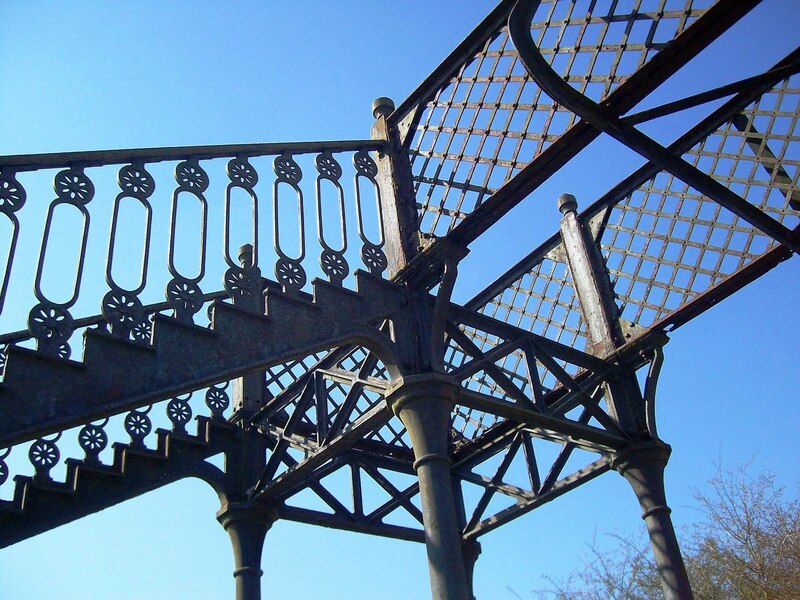 The wooden treads have been removed leaving the ironwork, which is decorative but now incongruously industrial for its rural location. 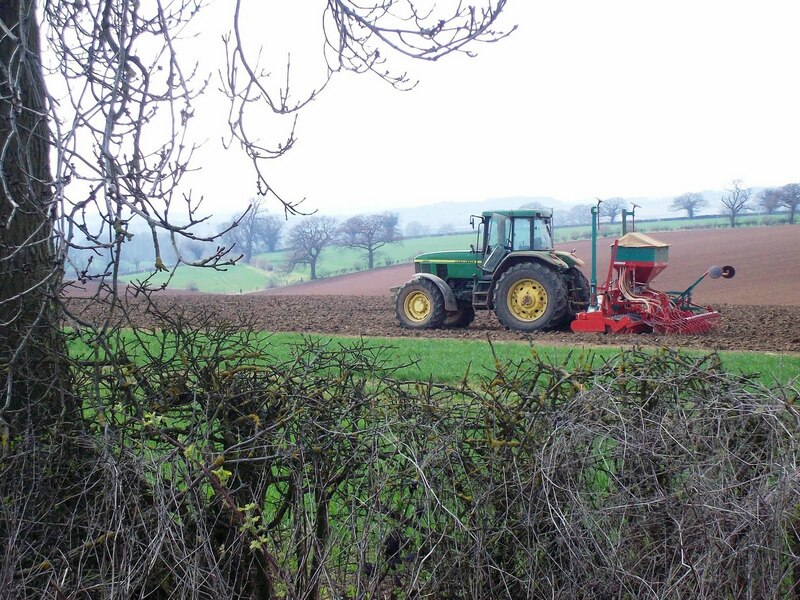 A photograph taken in Oakham by Martin Brookes. The leaders' debates must be a particular strain for David Cameron because he is acting the whole time. Those who encountered him before he entered Parliament do not recognise the caring, frowning with concern character they now see on their screens. In truth, he would much rather be tossing a fag in a blanket or having the gardeners boy thrashed. And a little bit of the real Cameron can be seen in the arrogant way he pulled Nick Clegg back as he went to the audience at the end of the first debate - see the video. If Cameron is Flashman, that must mean that Nick Clegg is Tom Brown - the symbol of all that is best in upright British youth. So who is Gordon Brown? In the first debate he looked tired and careworn. I can recognise that Brown is a decent man, but with his love of statistics he is a classic Labourite and not my sort of person. To find a parallel for him we must leave Dr Arnold's Rugby and travel to St Custards. Gordon Brown is Sigismund the Mad Maths Master. 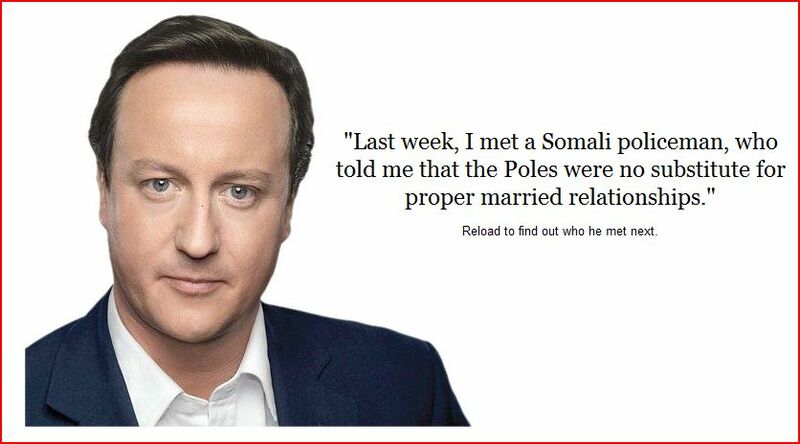 Who has David Cameron met? How did Nick Clegg spend the day after his triumph in the TV debate? A Lanson Boy has the answers, following him to Warrington and Hull. The photo, showing Nick addressing a crowd in the former, comes from that blog too. The best form of defence is attack, and there is no area where we can’t formulate policies based on clear Liberal thinking which can be used to press forward the cause. Anything else is a kind of pathetic sense that what we believe is somehow bound always to be unpopular. The World Forgetting, By the World Forgot looks at the Tories' warnings that our policies will now undergo much greater scrutiny. He asks why they have not got around to doing it in two and a half hours of televised debate with Nick and Vince Cable. Quaequam Blog! offers a review of the first week of the campaign from afar - or at least from behind his computer screen. His conclusion is that "there is everything to play for, but nothing is going to be easy". If you are looking for good resources on the development of poor nations, you will not do better than the list offered by Owen Abroad. And finally... Left and to the Back has discovered a novelty record Andrew Sachs issued in the character of Manuel from Fawlty Towers. Sachs, it turns out, was served with an injunction by Joe Dolce over his attempt to release a rival version of "Shaddap You Face". 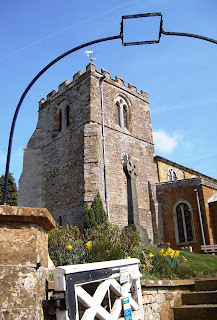 On our last visit to Lamport for a while, let's look at the church. But it has a friendly atmosphere and you can buy a few modest souvenirs of BB (Denys Watkins-Pitchford) there. There was also a copy of a magazine article that claimed a bullet fired by the young Denys can still be found embedded in one of the East windows, but it eluded me. The guidebook they sell is written by Sir Gyles Isham and billed as the fifth edition, abbreviated from a long work on the church he published in 1950. It discusses lists the past rectors, including BB's father. The Revd W.M. Watkins-Pitchford, who held the living between 1903 and 1944), we are told, "was a keen musician and revived folk-dancing in the district. He was a friend of Sir Cecil Slarp (sic)." But just as this Tory vision of England is beginning to appeal, you come across the fact that Robert Isham, who held the living, between 1845 and 1890, was chairman of the Brixworth Board of Guardians. And we read all about Brixworth workhouse last June. My Election Points from today's Liberal Democrat News. 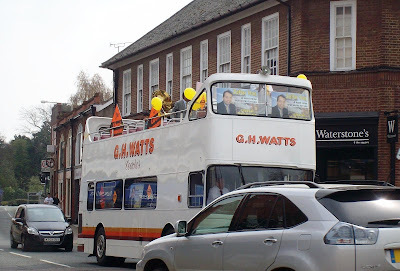 Note that I have succumbed to the Lib Dem blogosphere's obsession with Dr Who. But it was appropriate for more reasons than that. Take the cover of Pink Floyd’s 1977 album Animals. This depicted a giant inflatable pig flying high above the chimneys of the power station. I think the symbolism here is obvious. Then there was the 2006 Doctor Who episode “Rise of the Cybermen”. This time Battersea played the part of a factory to which the people of London were brought to be turned into creatures that were coldly logical and calculating without a trace of human emotion. A metaphor for Conservative government if ever I saw one. Battersea Power Station was an appropriate venue for the Tory manifesto launch, though, chiefly because of what happened to it in the Thatcher years. When the generation of electricity ceased there, developers announced plans to turn it into a vast indoor theme park. By the time it became clear they did not have the money to do it, large sections of the roof had been removed so that machinery could be lifted out. The result was that the building’s steel framework was left exposed and its foundations have been prone to flooding ever since. This serves as a useful reminder of what the Conservatives did to the British economy last time around. They didn’t fix the roof: they tore it off. 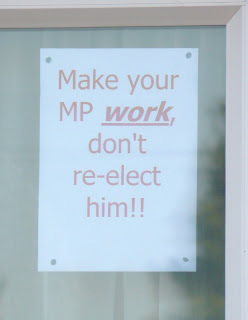 My local Tories are having problems too. There are allegations that they have allowed the council’s refuse-collectors to operate without planning permission for their depot. And the Audit Commission has taken an interest in further allegations that the firm has been operating without a signed contract or a bank bond indemnifying the council against any loss should it go out of business. In American slang, hokey means contrived or phoney. So it was ironic that the name of the fish being sold as cod in one Leicestershire chip shop suggested it was anything but the real deal. Hoki, a type of hake which is farmed in New Zealand and is also known as the blue grenadier, was found being served as cod by trading standards officials. St Mary's Chippy, in St Mary's Road, Market Harborough, was caught in a sting operation by trading standards teams. Plus, I think the journalist is the worst offender here. The owner of a Leicestershire fish and chip shop has admitted selling imported freshwater fish as cod after random DNA tests by trading standards. River cobbler, farmed extensively in South East Asia, is frozen and sent to the UK and costs half the price of cod. Balbir Singh Bachra, 51, of the Trident Fish Bar in High Street, Market Harborough, appeared at the town's magistrates earlier. Is Market Harborough particularly plagued by counterfeit cod or is it a national problem? Are the county's trading standards people particularly assiduous? 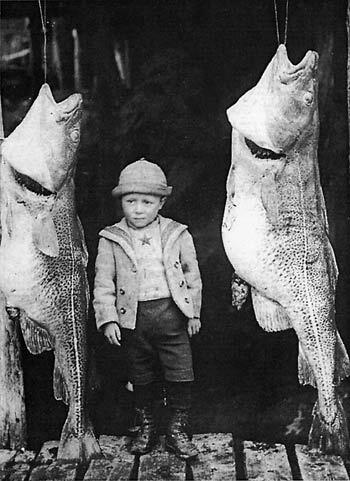 Of course, it could be that DNA tests for fish are another step towards the European Fish Database of which Ben Bradshaw dreamed. But seriously folks, this is an extract from the BBC's 1971 adaptation of Tom Brown's Schooldays. Tom Brown has already fallen foul of Flashman's father Sir Richard - a character unknown to Thomas Hughes - hence the viciousness of his welcome. As this blog once revealed, Sir Richard Flashman was played by the actor Gerald Flood, who is Toby Flood's grandfather. Manuel Almunia's green jersey was also a bad omen if you believe research presented today at the British Psychological Society's Annual Conference in Stratford-upon-Avon by Dr Iain Greenlees and Michael Eynon. Greenlees and Eynon looked at the performance and the expectation of success of 40 university footballers against goalkeepers wearing black, blue, green, yellow, and red strips. Each of the 40 strikers took a total of 20 penalties, 10 against a goalkeeper wearing black (the control) and 10 against a goalkeeper wearing either a blue, yellow, green or red shirt. Footballers were asked to estimate how many penalties out of 10 they would score and give a confidence rating for their estimate. The researchers found that, although there was no difference in how many goals a striker thought he would score, the fewest number of goals were scored against a goalie in red (54 per cent success rate), followed by yellow (69 per cent success rate), then blue and green (72 per cent and 75 per cent, respectively). So, from an England point of view, Rob Green should wear red. Halfway through tonight's debate I tweeted that whatever else has happened tonight, Nick Clegg has shown he is in the same league as Gordon Brown and David Cameron. But it was better than that. 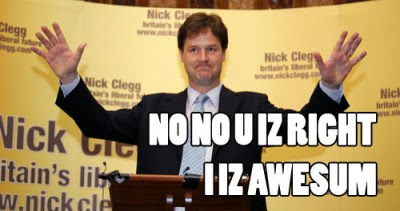 Nick Clegg was the clear winner of the debate. He was the most responsive to the audience and got in far more policy than David Cameron, who just did just did not have enough to say to fill 90 minutes. Meanwhile Gordon Brown came over like a well-meaning speak your weight machine. My chief memory of the night will be Brown's sheer incomprehension when asked a question about the need for more liberal education. The other thing I should, say given that I was a debate sceptic, is that it was more entertaining than I expected. The presence of three leaders made it more fluid and spontaneous than the American Presidential debates. A little more noise from the audience might have helped - Ask the Chancellors hardly ended in a riot - but no doubt the broadcasters will take it slowly. If Labour and the Conservatives agree to more debates after this experience, that is. A big Liberal England hello to A Timely Reform by Ian Ridley. Lamport? Let me see. I have shown you Shortwood House and the Rectory. But there is more. The first garden gnome in England. Sir Charles Ishman was the 10th Baronet of Lamport Hall. As a vegetarian and a practicing spiritualist, he was considered something of an eccentric. He had inherited a love of gardening from his mother and sometime in the mid 1840's, Charles decided he wanted to design a garden on the grounds at Lamport. Being a bit offbeat, he chose an unusual theme. He chose an Alpine garden with a rockery. He imported over 20 lawn gnomes from Germany and gave them tools as if they were working the rock garden as a mine. The gnomes were the first known in England and many gardeners found them enchanting. Sir Charles had started a minor garden fad. He goes on to record that the gnomes were disliked by Charles's daughters, who - to their credit - had them all removed after his death. Or so they thought. One gnome managed to survive in a hidden niche in the rocks. He was rediscovered and is now known as "Lampey" and recognised as the first stately gnome of England. 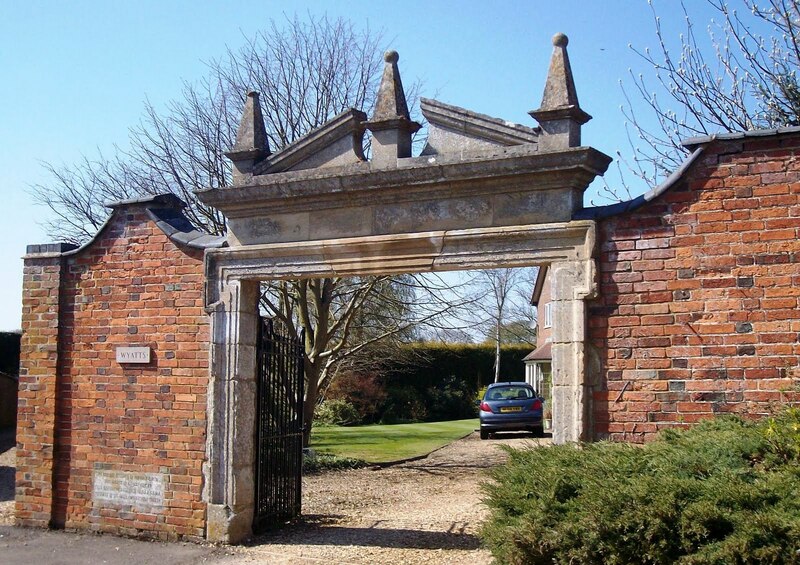 One other point: Jim Hill Media mentions Sir Gyles Isham, the twelfth and final baronet, who bequeathed the Hall and its contents (gnome included) to the charitable trust that now runs the estate. Gyles Isham acted in several films in the 1930s and you can find him on IMDB. 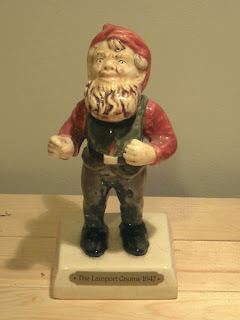 And the picture, which shows a replica of Lampey, comes from Wikipedia.